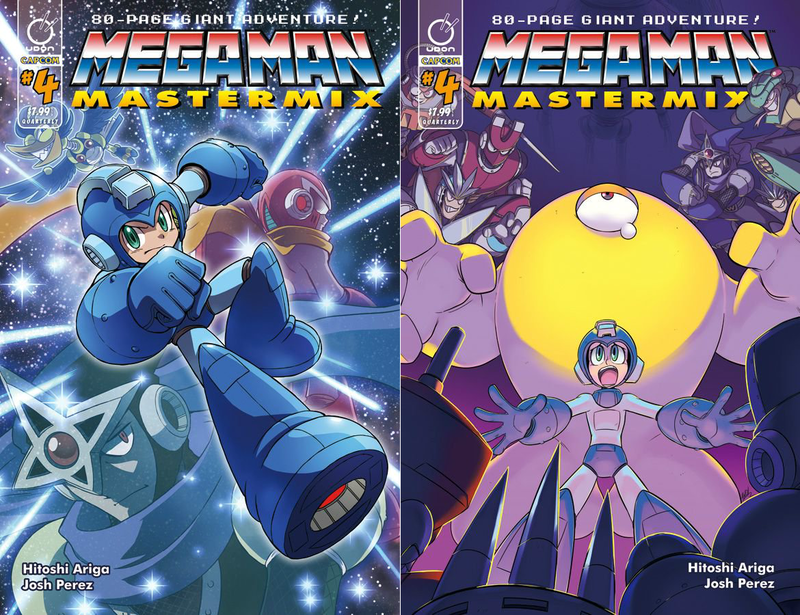 Recently announced by Focus Attack, Udon Entertainment has made pre-orders available for the fourth volume of the Mega Man Mastermix manga, with another 80 gorgeous full color pages. It's due out on November 28th. Both cover options (A and B) are available for pre-order, and sport some swanky art. Cover A (seen on the left above) is done by Hitoshi Ariga himself, and Cover B (seen on the right above) is done by Andrew Dickman. If you like what you see, be sure to check out the other three volumes and their alternate covers as well! I was wondering when it was gonna come out! Hope they publish the other stories too. MM4 and MM6 story were the best ones.